Desert Broad Nosed Weevil, Sand Canyon, Owens Valley, California. 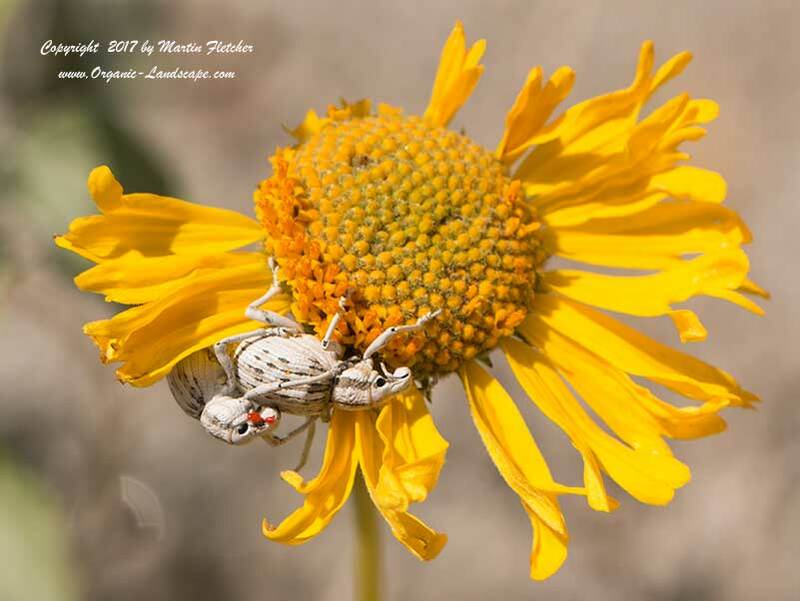 This mating pair of Desert Broad Nosed Weevils is on a Brittlebush Flower, Encelia farinosa. It appears the male has a couple of parasites near his mouth.